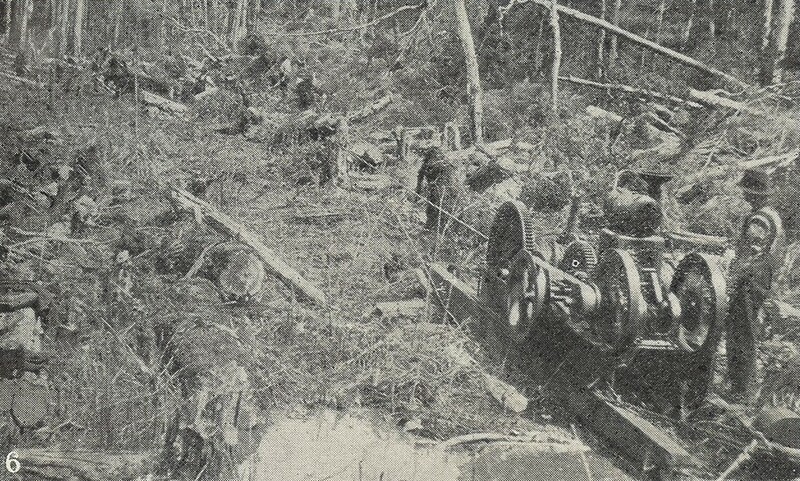 Another shot of Welcome Swamp drainage, a familiar scene on the dolomite swamps of Circular Head in the first half of the 20th century. From the Weekly Courier, 6 September 1923, p.21. and is part of the locality referred to in ‘Timber Wolves’ so you can imagine what we have to deal with. We have had a lot of trouble with a chap who is the worst scoundrel in the district. He has the reputation of being a man eater, has nearly killed two men by kicking them when down, while two or three others go through life minus half an ear, a piece he has bitten off. a large area of swamp lands, now lying in useless waste, but which when reclaimed and opened up will form one of the largest and best agricultural and dairying propositions in the state. Disappointment followed. 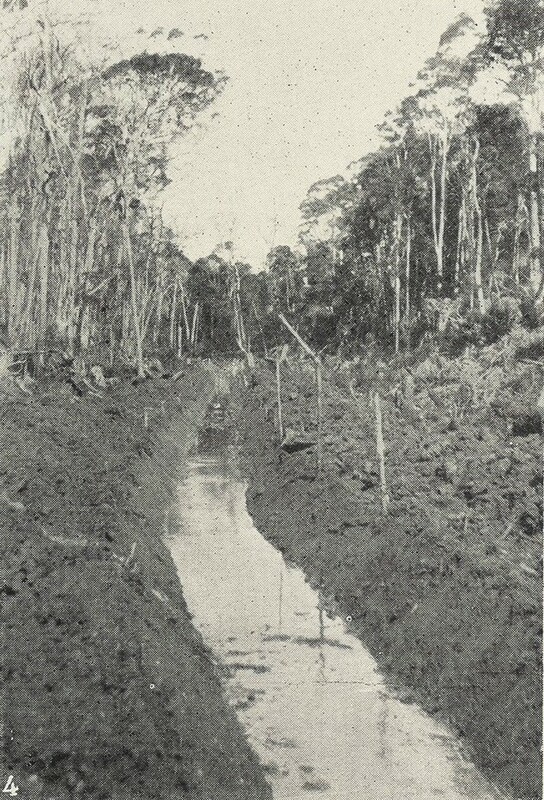 The development of the Smithton dolomite Welcome Swamp near East Marrawah (Redpa) was a comparative disaster. Drainage was inadequate, the scheme was extremely expensive, and superintendent of the works, Thomas Strickland, faced accusations of foul play. Strickland resigned with the job incomplete after being criticised by a Royal Commission into the reclamation scheme. For years afterwards no land on the Welcome Swamp was ploughed. Harvesting blackwood by bullock team near Smithton. From the Tasmanian Mail, 12 September 1918, p.19. We do not know if Fenton knows about it [the blackwood on his lease] anyway we do not intend to tell him at present … some of the mills are going bung around here and more will follow we are thinking soon. Mark Britton (with beard), Arthur Coates, Pat Streets, H Shaw and another man loading dry blackwood boards. To Mark, as he explained to Llewellyn Irby, this was a clear case of dummying by Fenton. He went on to explain that there was no longer enough timber on Crown land to keep a small mill cutting for three months of the year. 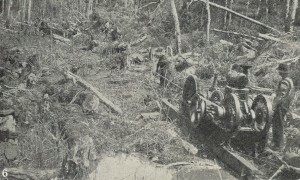 Brittons could have attacked the disputed blackwood by steam hauler. Fenton could not, making it impossible for him to obtain the whole of the timber. Not only would timber be wasted, Mark claimed, but Fenton’s method of removing the timber could destroy roads designed for lighter traffic and built by men working legitimately. Does your department allow such proceedings if not to whom must we apply for justice please reply at once re the matter, we do not want those tracks cut up and if your department is not responsible we will take proceedings ourselves. I blamed myself too, as I was told to have a look at it which I did, but not having the knowledge of assessing the volume of timber let the offer slip. Wet or fine those logs kept coming into Frank Fenton’s mill. Hazel Jacklyn was the steam engine man who kept the steam up and sharpened the circular saws. A twin sawmill and breast bench and docker were common in those days and turned out large quantities of furniture boards and flooring, all quarter cut and racked and held in stock till the Depression passed. Fenton would be the only sawmiller to beat the slump of the mid to late 1920s. Bill Etchell was another who gave rival sawmillers a run for their money. In the early 1920s he ran out of logs on private property at Christmas Hills. He moved his portable steam engine and spot sawmill to Edith Creek, and in October 1924 relocated again, this time at the Salmon River to exploit the stands of blackwood in that area. At that time hardwood was almost unsaleable, whereas there was a strong market for blackwood. Mark pointed out that the Edith Creek mill to which Etchell was supposed to be going to mill the timber was now at the Salmon River. Anyone acquainted with the rough country concerned, Mark claimed, ‘would realise the absurdity’ of trying to build a tramway into it, although, apparently, the timber on it would have been accessible from Brittons’ existing tramway network. Brittons won out on this occasion. Careful assessment of costs had to be made ahead of taking up a permit, taking into consideration the cost of constructing and maintaining tramways and haulage. By December 1925 Brittons had cut all the blackwood on their leases with the exception of an 800-acre lease and were looking for new leases. Tasmania was in a perilous economic state during the 1920s. As well as sawmillers, many farmers, including returned soldiers, struggled for survival. The Primary Producers’ Association (a forerunner of today’s Tasmanian Farmers and Graziers’ Association) was established to lobby politicians about the needs of farmers. However, not everyone was on the side of the farmer. Major Richard William Musson (not to be confused with promoter of the pulp and paper mill at Burnie, Gerald Musson) first appeared in Tasmania in December 1922 as a representative of ‘one of the leading insurance businesses’. He was noted as ‘a singer of great repute, well known in Manchester’, and had been a member of the Welsh Fusiliers during World War I. The businesses he was involved in included the Flax Corporation of Australia, the Renown Rubber Ltd, the Rapson Tyre Company and the Primary Producers’ Bank of Australia, which opened its first branch at Wynyard in December 1923 before extending its custom across the state. In the years 1923–25 Musson lived in Wynyard, demonstrating his talent for instant rapport by being elected president of the Wynyard Football Club and a vice-president of the Wynyard Homing Society. In February 1924 he and an associate were reported to be undertaking successful negotiations with farmers in the Marrawah district, his aim being, apparently, ‘to give the best advantages to primary producers’. which he said had served him well during World War I, when he rode his trusty steed into the thick of battle in France. He said they were spurs of pure silver, but I never used them, and they have since disappeared. What use could I have had for such a cruel method of getting more speed out of poor Old Nag, who did her best with only a twitchy stick as an urge. He was a huge man, and even brought his wife with him on one occasion out through the muddy road astride a pair of horses. He used all the charismatic charm, playing the piano and singing. One favourite was ‘The Mountains of Mourne’, which he sang with such fervour that the mountains really did ‘sweep down to the sea’. He wooed the brothers so they signed eagerly on the dotted line, which cost them a great deal of money, and Mother shed many tears. Frank Britton at home with a broken arm, 1925.
instrumental in taking Dad down for a lot of money, with a lot of bogus companies. And the old Primary Producers’ Bank of course which was paying interest on current account that Dad never ever said you could ever do. Anyhow they did, and they went broke. The Primary Producers’ Bank closed its doors in 1931 and was liquidated. By then the fraudster’s schemes were catching up with him. 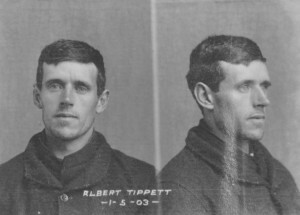 In December 1931 Musson was arrested along with three other men in Texas, Queensland, on a charge of conspiracy to commit fraud by enticing people to invest in the Tasmanian Credits Ltd. The men were convicted, but on appeal their convictions were quashed. There was no escape in 1933, however, when Musson was one of three men arrested in Queensland on charges of conspiracy for selling land to which they had no title in relation to the Texas Tobacco Plantation Pty Ltd of Queensland. The men played on their military bearing, calling themselves Captain Brough, Major Field and Major Musson, although Musson admitted that he had not held the substantive rank of major during World War I. All three were convicted and imprisoned for three years. 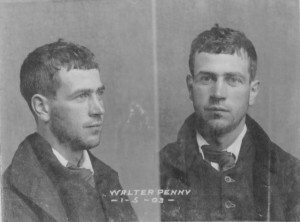 Frank Britton believed that Musson’s deceit cost him [Frank] an education like the one that his brothers and sisters enjoyed in Launceston and, with it, the chance to become a lawyer or doctor. Bernard Cronin, The timber wolves, Hodder & Stoughton, London, 1920. Llewellyn Irby to his family from Smithton 27 October 1922 (copy held by the author). Surveyor-General to Minister for Lands 12 May 1921, ‘Exploration survey Salmon River Wellington’, file LSD344/1/1 (Tasmanian Archive and Heritage Office). ‘Welcome Swamp: Royal Commission’s Report’, Examiner, 13 March 1924, p.8. Mark Britton to Jim Livingstone 11 February 1924, Journal pp.102–06. Mark Britton, Britton Timbers, to Llewellyn Irby, Conservator of Forests, 11 February 1924, Journal pp.107–10. Mark Britton, Britton Timbers, to Llewellyn Irby, Conservator of Forests, 19 February 1924, Journal pp.111–12. Mark Britton, Britton Brothers, to S Moore, Forestry Office, Smithton, 14 October 1925, Journal p126. Phil Britton, ‘Memories of Christmas Hills (Brittons Swamp): the Story of the Sawmilling Industry and Farming in the Circular Head District 1900–1980’, pp.25–26 (manuscript held by the Britton Family). 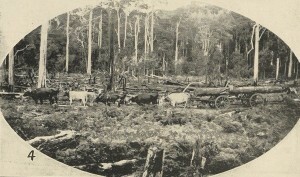 Phil Britton, ‘Memories of Christmas Hills (Brittons Swamp)’, p.26. JJ Dooley, ‘Far north-west’, Advocate, 8 October 1924, p.6. Mark Britton, Britton Brothers, to the Conservator of Forests 30 March 1925, Journal p.123. Mark Britton, Britton Brothers, to Garrett, District Forest Officer14 December 1925, Journal pp.127–28. ‘Men and women’, Advocate, 19 December 1922, p.2. ‘Primary Producers’ Bank’, Advocate, 6 December 1923, p.2. ‘Marrawah’, Advocate, 25 February 1924, p.4. Lorna Haygarth (née Britton) notes 1984. Frank Britton memoir 16 December 1992 (QVMAG). ‘Tasmanian Credits’, Advocate, 14 December 1931, p.8. ‘Tasmanian Credits’, Mercury, 31 May 1933, p.7. ‘Land in Queensland’, Mercury, 8 March 1933, p.8. ‘Tobacco Land’, Brisbane Courier, 11 March 1933, p.15. ‘Land fraud’, Canberra Times, 15 March 1933, p.1. 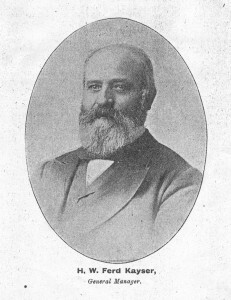 Henry Thom Sing, from the Weekly Courier, 30 May 1912, p.22. A downtown Launceston store is the face of a forgotten immigrant success story. The building at 127 St John Street was commissioned by Ah Sin, aka Henry Thom Sing or Tom Ah Sing, Chinese gold digger, shopkeeper, interpreter and entrepreneur. He was born at Canton, China on 14 March 1844, arriving in Tasmania on the ship Tamar in 1868. Sing appears to have come from to Tasmania from the Victorian goldfields, and he was quick to seize on this experience when the northern Tasmanian alluvial goldfields of Nine Mile Springs (Lefroy), Back Creek and Brandy Creek (Beaconsfield) opened up. Like Launceston’s Peters, Barnard & Co, who hired Chinese miners through Kong Meng & Co in Melbourne, Sing began to recruit Chinese diggers on the Victorian goldfields. His good English skills were an asset in trade and communication, and throughout his time in Launceston his services were drawn upon regularly as an interpreter in court cases involving Chinese speakers as far afield as Wynyard and Beaconsfield. 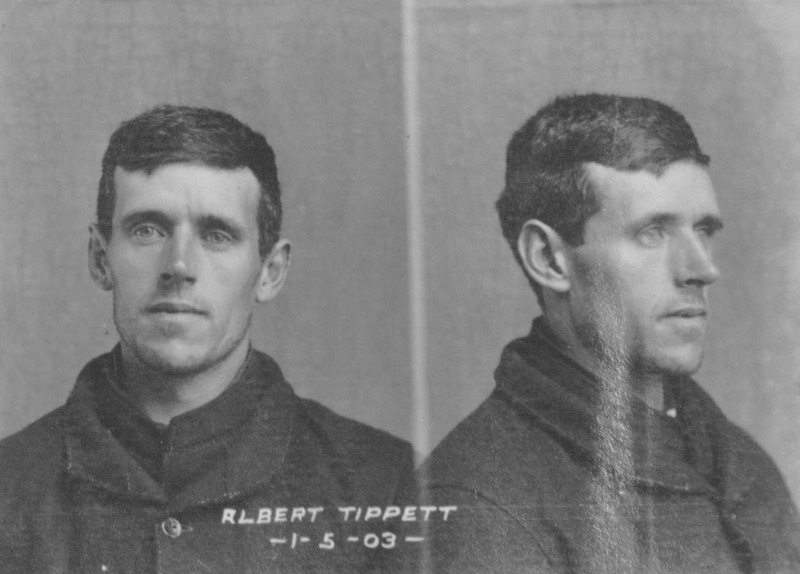 Circular Head farmer Skelton Emmett had been washing specks of gold in the Arthur River for years before a minor rush was sparked by two sets of brothers, Robert and David Cooper Kay, and Michael and Patrick Harvey, in April 1872. Within three months, 160 miner’s rights had been issued and 70 claims registered. Claims were spread over about 2 km around the confluence of the Arthur and Hellyer Rivers. The European diggers generally preferred to work ‘beaches’ in the river. Two European claims, the Golden Crown and the Golden Eagle, were on the Arthur downstream of the junction. The Golden Eagle party, who included William Jones and John Durant, strung a suspension bridge consisting of a single two-inch rope across the river in order to work both banks and for easy access: effectively it was a ‘bosun’s chair’ or flying fox. They worked their claim with a sluice box and Californian pump. James West and party’s claim known as the Southern Cross was in a small gully on the southern side of the Arthur. The Kays’ claim was ‘in the gulch of a ravine’ a little further inland from the river. The claim of Frank Long, who later found fame on the Zeehan–Dundas silver field, was further down the same gulch. The British Lion claim of W King was at the junction of the Arthur and the Hellyer, the Harvey brothers’ claim on the Arthur above it. Waters from Circular Head and a man named House also held claims. Most of the gold obtained in the area by Chinese came from working the sand bars and shallows of the Arthur River. Sing had several roles on the field. Although Seberberg & Co had also engaged Chinese diggers for Tasmania, the 50 or so Chinese at the Arthur appear to have represented only two agents, Sing and Peters, Barnard & Co, both Launceston based. Because he had a Launceston business to maintain, Sing’s time at the diggings would have been limited. He appears to have had two claims which were worked by Chinese parties, and he acted as an interpreter for other parties. He also bought gold from diggers. In November 1872, with the river low enough to permit an attack on its dry bed, both Sing parties engaged in ‘paddocking’, that is, diverting part of or the entire stream by damming it on their claim. On the upper claim the resulting wash dirt was put through a cradle, but the eight men expected to achieve better results when their sluice boxes were complete. Likewise, Lee Hung was building a sluice box. The upper party once took 10 oz of gold in a day. Wha Sing’s claim on the Arthur above the confluence included a vegetable garden, which would have provided his party with both food and cash, since stores would have been at a premium on the isolated field. One of the Chinese parties was said to have ‘turned’ the Arthur River in order to work its bed. While the Arthur is a large river, this is not as difficult an undertaking as it sounds. The idea is to drive a short tunnel or channel through a hairpin bend in the river, diverting its flow. A quick scan of the map makes it obvious where this could have been done. In fact the diversion channel would not have been on the Arthur River, but on the Hellyer, just above its junction with the parent river. This ingenious method of exposing a stream bed was employed on many gold fields and in Tasmania by osmiridium miners on Nineteen Mile Creek and other places. The largest nugget obtained by February 1873―1 oz 3½ dwts―was found by a Chinese party in the river, but, generally, bigger nuggets were taken in the creeks. Frank Long claimed to have got his best gold about 10 km from the Arthur River, and his was ‘much more nuggety’ than that of James West, who worked closer to the river. The gold appears to have been patchy. All the productive claims were above that of the Kays. Working the creeks was harder in summer, but diggers made up for the lack of sluicing water by using chutes to bring the washdirt to the river. 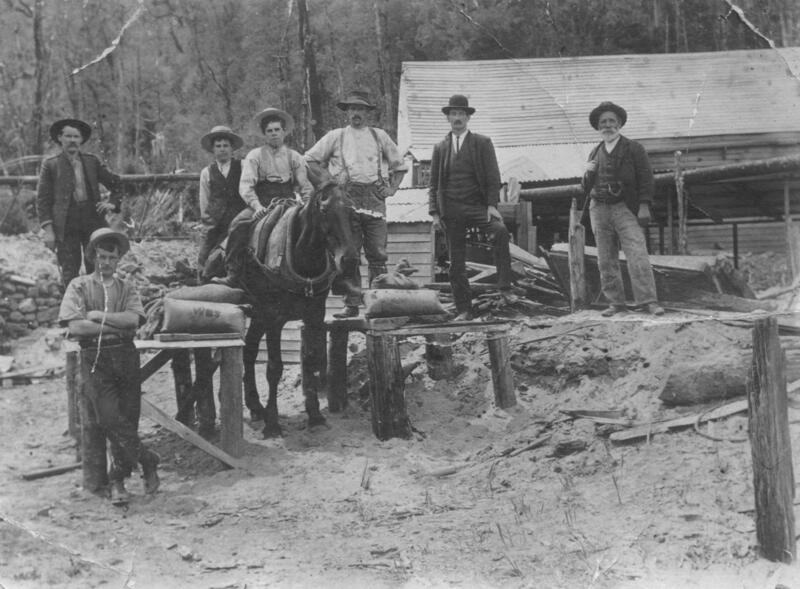 The Arthur River gold field was deserted by the end of 1873, and the Chinese soon switched to alluvial tin mining in the north-east. Sing built up his Launceston business. 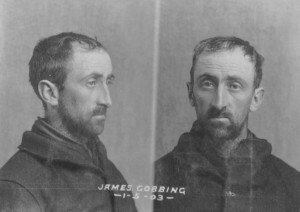 By the time he was naturalised as a British subject in 1882, he was renting a shop and residence at 127 St John Street, Launceston. In 1883 he bought the site and erected a new premises designed by Leslie Corrie. Here he sold imported Chinese groceries, ‘fancy goods’, preserved fruits, silk, tobacco, fireworks and the Chinese drinks and remedies Engape, Noo Too and Back Too. 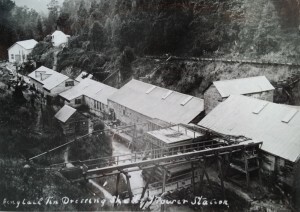 Sing’s residence also served as a staging-post of Chinese tin miners arriving in Launceston. In 1885 he cemented his position in the north-east by buying out the store of Ma Mon Chin & Co at Weldborough, which afterwards operated as Tom Sing & Co. While a £10 poll tax was levied on Chinese entering the colony in 1887, Launceston’s established Chinese population became part of the community, with local businessmen Chin Kit, James Ah Catt and Henry Thom Sing supporting the work of the Launceston City and Suburbs Improvement Association by staging spectacular Chinese carnivals at City Park in 1890 and the Cataract Gorge in 1891. Fire gutted the Sing premises in 1895, and as a result it was either altered or rebuilt to the design of Launceston architect Alfred Luttrell. This building remains today. Sing married twice, and fathered at least seven children. Both his brides appear to have been European. 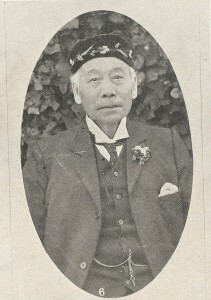 His death, in May 1912, aged 68, after 44 years in the Launceston business community, passed almost without comment in the Tasmanian press, perhaps indicating that, despite his naturalisation, a racial barrier between Chinese and Europeans remained. Probate valued at £1738 suggested modest success. Like the former Chung Gon store in Brisbane Street, today Henry Thom Sing’s St John Street store remains part of Launceston’s commercial sector. Naturalisation application, 22 July 1882, CSD13/1/53/850 (TAHO), https://linctas.ent.sirsidynix.net.au/client/en_AU/all/search/results?qu=tom&qu=sing, accessed 10 December 2016. ‘New Chinese diggers’, Tasmanian, 11 February 1871, p.11. ‘Gold discoveries at King’s Island and Rocky Cape’, Cornwall Chronicle, 29 April 1872, p.3. Charles Sprent to James Smith from Table Cape, 21 July 1872, NS234/3/1/25 (Tasmanian Archive and Heritage Office). ‘The Hellyer goldfield’, Cornwall Chronicle, 22 November 1872, p.2. ‘Notes on the Hellyer’, Cornwall Chronicle, 20 December 1872, p.2. ‘A look round the Hellyer’, Cornwall Chronicle, 3 February 1873, p.2. ‘The Hellyer gold-field’, Cornwall Chronicle, 16 December 1872, supplement, p.1. ‘The Nine Mile Springs goldfield’, Cornwall Chronicle, 13 May 1872, p.2; ‘Chinese immigration’, Tasmanian, 18 May 1872, p.8. See, for example, ‘More gold from the Hellyer diggings’, Tasmanian, 25 January 1873, p.12. ‘Table Cape’, Tasmanian, 25 January 1873, p.5. ‘The Chinese diggers at the Hellyer’, Cornwall Chronicle, 6 November 1872, p.3. ‘The Hellyer goldfield’, Cornwall Chronicl,e 22 November 1872, p.2. ‘The Hellyer diggings’, Mercury, 13 February 1873, p.3. ‘Table Cape’, Cornwall Chronicle, 17 January 1873, p.3. SB Emmett, ‘The western gold field’, Launceston Examiner, 1 February 1873, p.3. ‘Tenders’, Launceston Examiner, 26 July 1884, p.1..
 ‘Law Courts’, Tasmanian, 26 May 1883, p.563. Advert, Launceston Examiner, 19 September 1885, p.1. ‘Tenders’, Launceston Examiner, 7 March 1895, p.1. ‘Deaths’, Launceston Examiner, 29 March 1882, p.2; marriage registration no.966/1884, https://linctas.ent.sirsidynix.net.au/client/en_AU/all/search/results?qu=henry&qu=thom&qu=sing#; accessed 10 December 2016. ‘Deaths’, Weekly Courier, 30 May 1912, p.25. Will AD96/1/11, LINC Tasmania website, accessed 10 December 2016.